* 4x4 * 5.0L V8 * MICROSOFT SYNC * SUPER CREW * CARFAX * BLUETOOTH * REAR SONAR * BED LINER * TOW PACKAGE * AUX AUDIO INPUT * RUNNING BOARDS * BEST BUY FOR THE MONEY! * LOTS OF PICTURES * DON'T MISS THIS ONE! ! ! This 2015 Ford F-150 XLT 4x4 Super Crew is the truck you've been waiting for. This truck comes very nicely equipped with the powerful V8 Engine, Bluetooth! It appears this F150 XLT was well taken care of, just take a look at all the pictures of this truck and you'll see just how clean this truck is. Don't miss this one, come take it for a drive today! Buy with confidence from a Carfax Advantage Dealer with an A+ rating from the Better Business Bureau. Please visit our website for the most up-to-date information on this vehicle. Proudly serving the Aurora, Naperville, Oswego, Yorkville area for over 20 years. Prices subject to change without notice. 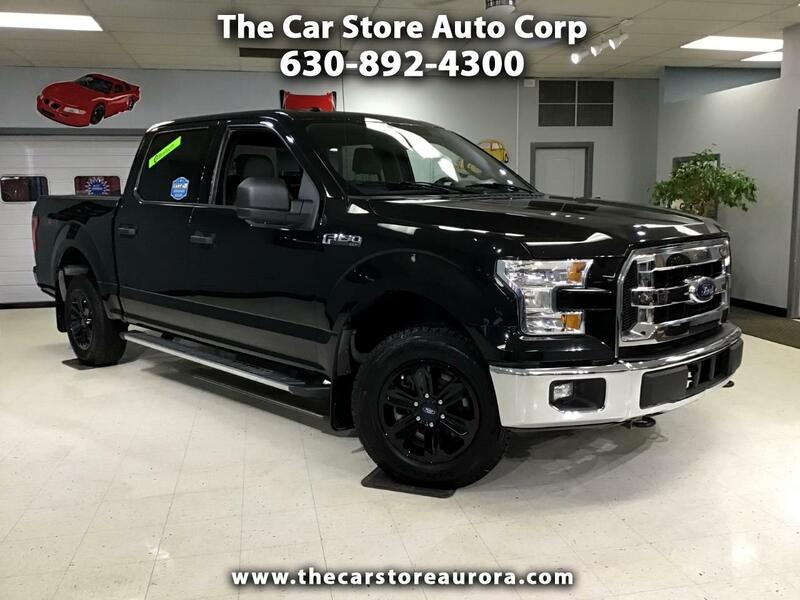 If you are looking for a 2011 Ford F150 FX4 Ecoboost, 2012 F150 STX Super Cab Extended Cab, 2016 Dodge Ram Quad Cab Big Horn SLT HEMI, 2010 Ram Crew Quad Cab, 2014 GMC Sierra Off-Road or 2013 Chevrolet Silverado W/T LT LTZ Z71 2016 4 wheel drive please call us for availability. Want more reasons to come to check out The Car Store? * Our customers love us! Just check out our reviews. * We have been selling cars longer than Google has been Google! * Vehicles are detailed & Carfax Certified. * Great financing rates are available through our network of lenders! * Serving your family and neighbors since 1994!